FULL TEXT OF NETANYAHU SPEECH TO U.N. This is an historic address worth studying carefully. Read full speech text here. Read my analysis here. UPDATED WITH DETAILS FROM FULL SPEECH TEXT: Israeli Prime Minister Benjamin Netanyahu told world leaders Thursday that Iran is 70 percent of the way to building its first nuclear bomb, and could significantly complete its work by spring 2013, or by summer at the latest. In a powerful, sobering address to the U.N. General Assembly, Netanyahu said it was getting “very late” to stop “Iran’s apocalyptic leaders” from getting The Bomb. He called for the world to impose a clear “red line” on Iran, stating precisely at what point Iran’s actions would provoke a military response. He said he did not have confidence that even the best intelligence agencies would know exactly when Iran had built its first nuclear warhead. The goal, he insisted, has to be to stop Iran from enriching enough uranium to be able to build its first warhead. Time to accomplish that, he made clear, is running out fast. Netanyahu’s reference to Iran’s “apocalyptic leaders” was a direct response to Iranian President Mahmoud Ahmadinejad’s speech to the U.N. on Wednesday in which he called for the end of the “hegemonic” powers of the United States and Israel — whom he described as “the uncivilized Zionists” — and said the world would ”soon” see new “global management” by the Twelfth Imam, also known as the “Mahdi,” and his deputy, Jesus Christ. Does this mean war is imminent? It depends, I guess, on one’s definition of imminent. Israel may or may not launch an “October Surprise.” But by indicating Iran could be dangerously close to having the Bomb by next spring, it does appear as if the Israeli leader was laying down what could be a final marker before he orders his forces into battle. The world must immediately draw a clear “red line” to prevent Iran from completing a nuclear weapon as soon as next spring, Israeli Prime Minister Benjamin Netanyahu warned today in an address before the United Nations. “To be credible a red line must be drawn first and foremost in one vital part of their program, on Iran’s efforts to enrich uranium,” said Netanyahu, who considers a nuclear Iran a threat to his country. The premier said it was already getting “very late” to stop Iran, a regime that he said backs terrorist organizations and attacks around the globe. 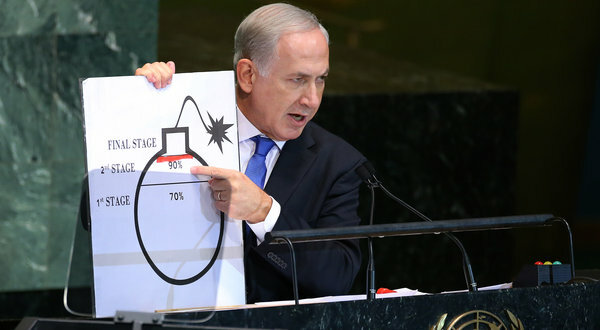 Using a magic marker to literally draw a red line on a diagram of a bomb, Netanyahu said Iran was already 70 percent of the way towards developing a bomb. He said the international community must stop Iran before it could complete another 20 percent, a process of creating medium enriched uranium. The final 10 percent could be completed in a few short weeks, he said. Once the uranium enrichment was completed, he said, Iran could easily assemble the necessary fuse in a secret location no bigger than a classroom. The international community, he said, knows where to find the enrichment centers, and Iran cannot be given enough time to assemble the bomb in secret. 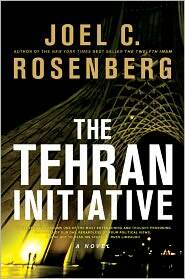 “Some say a nuclear armed Iran would stabilize the Middle East. Yeah right. That’s like a saying a nuclear armed Al Qaeda would usher in world peace,” he said. Netanyahu compared the situation to Europe’s unwillingness to confront Germany’s Hitler in his early aggressive moves. “Those who opposed that fanaticism waited too long to act,” he said. “A red line should be drawn right here, before Iran completes the second stage of nuclear enrichment necessary to make a bomb, before Iran gets to a point where it is a few months or a few weeks away from amassing enough enriched uranium to make a nuclear weapon,” he said. “Each day that point is getting closer, and that is why I speak today with such a sense of urgency and that is why everyone should have a sense of urgency…. Netanyahu was referring to Iran’s enrichment of uranium to 20 percent purity, a level it says is required for medical isotopes but which also brings it close to bomb-fuel grade. An August report by U.N. inspectors said Iran has stockpiled 91.4 kg of the 20 percent material. According to the U.N. nuclear watchdog, around 25 kg of uranium enriched to a 90 percent purity level would be needed for a single nuclear weapon. Help The Joshua Fund care for the poor and needy in Israel, teach the Word of God in the epicenter, educate and mobilize Christians around the world to bless poor and needy Israelis, train pastors and ministry leaders in Egypt, strengthen the believers in Syria, and prepare for a possible major new war in the epicenter — please prayerfully consider a generous, tax deductible financial contribution to The Joshua Fund. 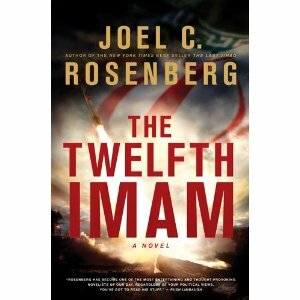 Read Joel’s latest political thriller — The Tehran Initiative — about an American President pressuring an Israeli Prime Minister not to launch a preemptive military strike against Iran. More than ever it feels ripped from the headlines. The Iranian leader speaking at the U.N. on September 26, 2012. 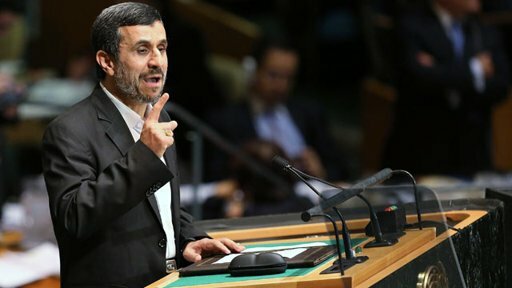 Iranian President Mahmoud Ahmadinejad on Wednesday called for the end of the “hegemonic” powers of the United States and Israel, whom he described as “the uncivilized Zionists.” He said the world would “soon” see new “global management” by the Twelfth Imam, also known as the “Mahdi,” and his deputy, Jesus Christ. Few world leaders are taking Ahmadinejad’s eschatology seriously. Israeli Prime Minister Benjamin Netanyahu, however, understands it. I’ve discussed it with him personally. Indeed, it is why he and his senior advisors in Jerusalem are seriously contemplating preemptive military action, to keep nuclear weapons out of the hands of Ahmadinejad and men like him who are members of an apocalyptic, genocidal death cult determined to bring about a nuclear holocaust and the End of Days. Just before leaving Israel for New York to address the U.N., Netanyahu reacted to Ahmadinejad’s speech. “On the day that we pray to be inscribed in the Book of Life,” the prime minister said in reference to Yom Kippur, “the authoritarian Iranian regime takes every opportunity to condemn us to death.” He added: “The Iranian oppressor chose to call in public, in front of the entire world, for our disappearance… That is a black day for those who chose to to remain in the room and listen to these accusatory words.” The Times of Israel reported that Netanyahu said his own speech on Thursday would constitute “our response,” and also pledged to “use every possible means” to prevent Iran from acquiring a nuclear weapon. Here is a link to the video of Ahmadinejad’s address, and an initial copy of the full text. — Let us join hands and clear the way for his eventual arrival with empathy and cooperation, in harmony and unity. Let us march on this path to salvation for the thirsty souls of humanity to taste immortal joy and grace. All the messages from the 2012 Epicenter Conference are now posted online at www.epicenterconference.com. Watch them on demand, any time, day or night, for free. You can also download an Epicenter Conference mobile app to watch or listen to the messages on your iPhone or Droid for free. Are you saved? If you died tonight, are you 100% certain you would spend eternity in heaven? Here’s a clear, concise explanation of the Gospel of Jesus Christ. My colleagues at The Joshua Fund and I are praying for our Israeli friends and Jewish friends around the world as we observe Yom Kippur, the Day of Atonement. We’re praying for the Lord to bless you and draw you close to His heart. We’re praying that more Israelis this year become hungry to read the Holy Scriptures and to know God who inspired His Word to be written down and given to us. We’re praying, too, for the peace of Jerusalem, and for peace for all who live in the epicenter. My spiritual journey — how did my parents and I come to faith in Jesus Christ? This weekend, Janet Parshall and I produced a 2-hour “Implosion Radio Special.” It was one of the most interesting conversations I’ve had in recent years about the fate of our country and the problems inside the Church and some the Scriptures I’m reading these days to gain insight on whether there is hope for us, or not. We discussed America’s desperate need for a massive, game-changing spiritual revival, and the prospects for a Third Great Awakening. We also had a fascinating discussion about whether Christians should or should not get involved in politics and the five principles about this that I laid out in the Implosion book. The special will air on 1,500 radio stations between now and Election Day. But you can listen to the podcast of the full special on-line — just click here. 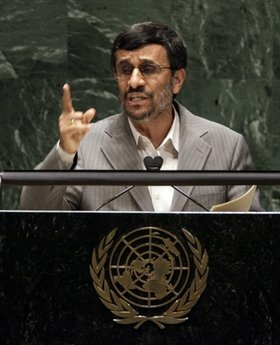 Mahmoud Ahmadinejad speaking at the U.N. in 2010. President Obama and Prime Minister Netanyahu also address the U.N. this week, as does new Muslim Brotherhood leader turned Egyptian President Mohammed Morsi. It’s going to be an interesting week in the Big Apple. Let’s be praying. >> Implosion Radio Special to air on 1,500 stations nationwide — details here. Does anyone in Washington get how serious this is? We are on the road to fiscal implosion. “Sunday will mark the start of the 100-day countdown to ‘Taxmageddon’ – the date the largest tax hikes in the history of America will take effect,” reports Americans For Tax Reform. “They will hit families and small businesses in three great waves on January 1, 2013.” Here’s a list of the tax increases scheduled to be imposed if President Obama and Congress don’t take action quickly. This weekend, I’ll do a 2-hour “Implosion Radio Special” with Janet Parshall. We’ll discuss the economic & spiritual threats to America. 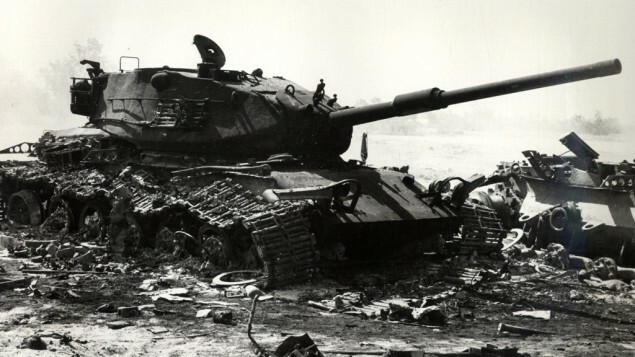 We’ll also discuss possible war between Israel and Iran. The special will air on 1,500 radio stations, some live, some tape-delayed. Details will be posted soon at www.joelrosenberg.com. Updates will be posted regularly. Join us. DID GOD REJECT JEWS AND ISRAEL? What is replacement theology & why is it flawed, and even dangerous? 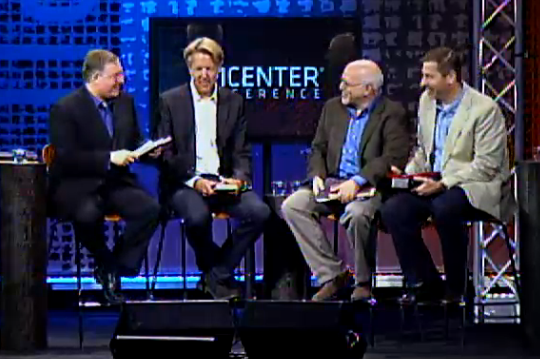 Panel on “Replacement Theology” at the 2012 Epicenter Conference with (left to right) Joel Rosenberg, Pastor Skip Heitzig, Dr. Michael Rydelnik, and Dr. Michael Vlach. Tragically, such thinking among church leaders in Germany in the early 1900s created a poisonous, anti-Semitic environment which Adolf Hitler latched onto, rode to power, and then manipulated for the “Final Solution” and the murder of six million Jews during the Holocaust. Replacement theology won’t necessarily lead to genocide. But it can, and it has. Not all who hold various forms of Replacement Theology are anti-Semitic. Some are just misinformed or misguided. And misguided bad theology can lead to misguided actions. At The Joshua Fund’s 2012 Epicenter Conference, we invited some of the world’s foremost Bible scholars and theologians in these areas to walk us through these sensitive and controversial issues. I’m so grateful to report that not only did they do a brilliant job, they also communicated in a way that was easy — even enjoyable — to understand. Here are links to three important videos from the conference on these issues. I hope you find them helpful and will pass them along to others to watch and consider, as well. What does the Old Testament say about God’s plan for Israel and the Jewish people? — taught by Dr. Norman Geisler. What does the New Testament say about God’s plan for Israel and the Jewish people? (does the NT change the OT plan, or reaffirm it?) — taught by Dr. Michael Rydelnik. Joel Rosenberg leads Q&A with Dr. Geisler and Dr. Rydelnik regarding their messages. Panel Discussion on Replacement Theology: Joel leads conversation with Dr. Rydelnik, Dr. Michael Vlach, and Pastor Skip Heitz on what Replacement Theology is, why it matters, and why it is flawed. >> All the messages from the 2012 Epicenter Conference are now posted online at www.epicenterconference.com. Watch them on demand, any time, day or night, for free. You can also download an Epicenter Conference mobile app to watch or listen to the messages on your iPhone or Droid for free.